I transformed our ho-hum bedroom into a cozy retreat, and I didn’t need to spend thousands for a complete makeover. I’m sharing some simple inexpensive ideas I did in my own bedroom that anyone can do to up the cozy factor of your bedroom. Our bedroom wasn’t terrible, but I wanted to give it a little boost, and I didn’t want to spend a lot of money to do it. Our bedroom went from ho-hum to a cozy upgraded retreat in less than two hours, and I didn’t replace any of the furniture. Before and after. New bedding gives the bedroom a feeling of luxury. One of the easiest changes and the one with the biggest bang for the buck is changing the bedding. I started by switching out our old comforter with a new one I bought a few years ago for fifty dollars online. The transformation was instant. Suddenly, our bedroom felt more luxurious. 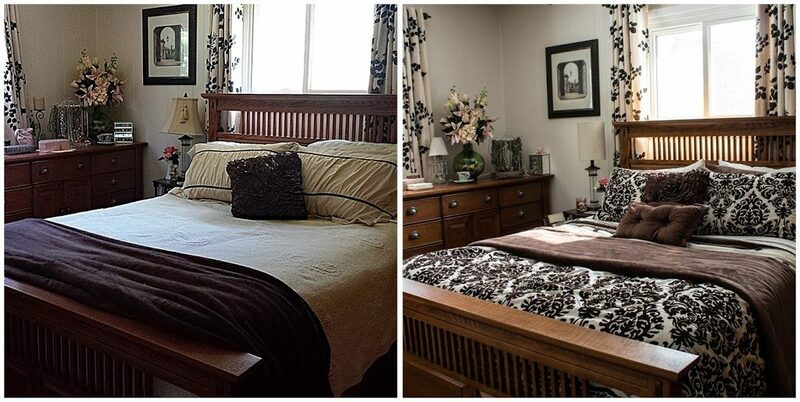 If you watch for sales and buy a few different ones, you can transform your bedroom every season. 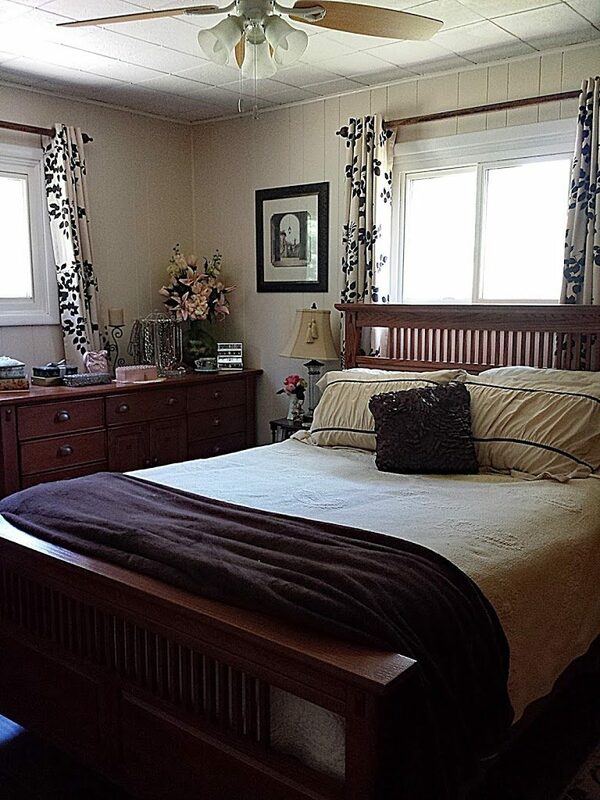 Clearing off the surfaces, removing books and extra things makes the bedroom feel more spacious. Everyone always seems to suggest this one. But there’s a reason for that. It’s because it actually works. Okay, so maybe it isn’t always easy. Depending on how much stuff you have, it can be downright hard, but it can really really help transform a ho-hum bedroom. But if you find it hard, you’re not alone. It is something I struggle with too. I have so many pretty jewelry boxes and stacks of books that it’s really hard to keep my dresser and nightstand clear of clutter. However, when I cleared off the top of our dresser and corralled all my books, the whole room felt cleaner and more spacious. New lampshades transform old lamps from tired to modern. I love lamps. There. I’ve said it. Not new lamps though… I love vintage lamps, lamps no one else sees the beauty in, usually because of the lampshade that’s on them. You would be surprised what a new lamp shade can do. A new lamp shade can make an old, frumpy out-dated lamp look fresh and new, and maybe even modern. Just take a look at my lamps. I had bought the old shades 15 or so years ago when I bought the lamps, and back then, they were in style… Today, not so much, but I still like the lamps. Changing the tasseled, bell-shaped shades to these simple linen cylinder shades made my lamps look fresh and modern. And fresh modern lamps change the feeling of a room. Seriously, you have to trust me on this one. It didn’t look terrible before, but it was a bit ho-hum. Maybe your bedroom isn’t terrible. It might just be a ho-hum bedroom that was a little tired like my bedroom. A few easy makeovers made a huge difference. Notice the plain coverlet. By the way, if you don’t want to replace your vintage coverlet, then buy a pretty throw for the foot of the bed, you’ll get the same results. See the dated lampshades. And, although the dresser wasn’t too bad in this picture, I did clear off a few more things to free up some space. 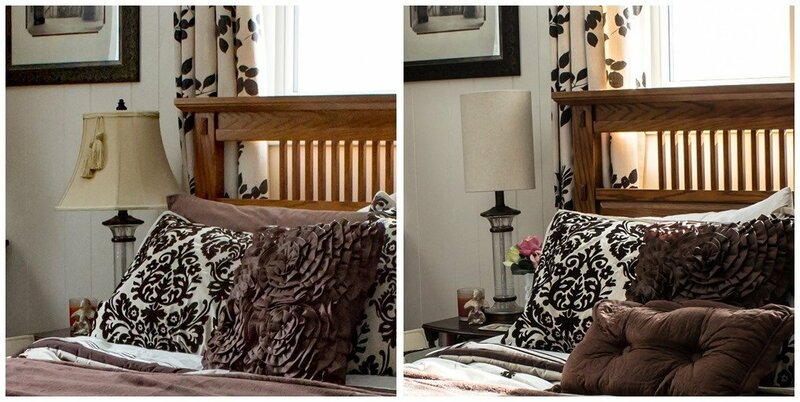 New bedding, a decluttered dresser, and new lampshades were easy makeovers for this bedroom. It still has the same furniture, paint, and curtains, but for less than $100, it looks completely different. 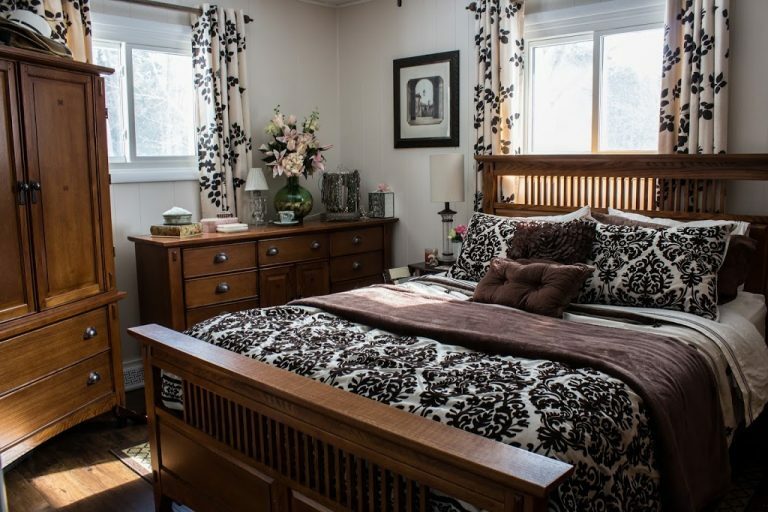 New bedding, a new lampshade and decluttering the dresser were easy makeovers that really upped the coziness of our room. 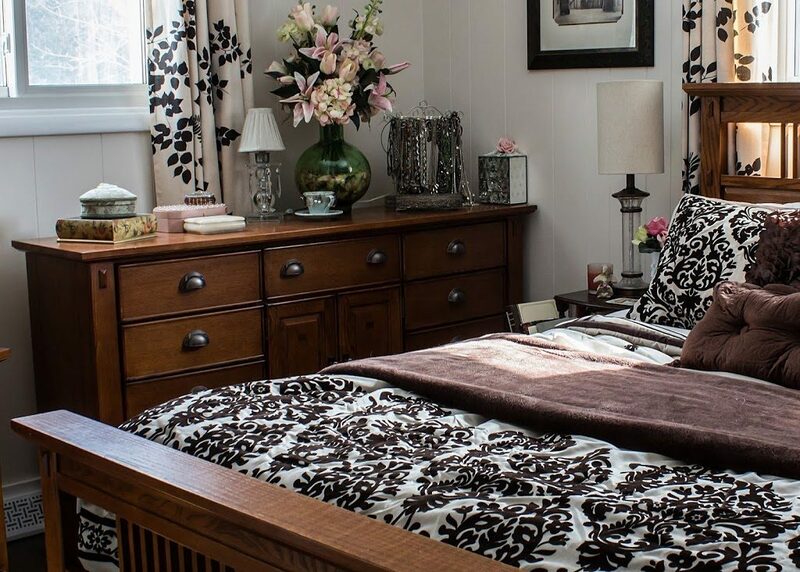 These were all easy makeovers that anyone can do for a ho-hum bedroom. Do you have any easy ideas for transforming your bedroom? Click below and share them in the comments.